Explore hidden gems such as The Settlement Exhibition and Volcano House. Do some cultural sightseeing at Grotta Lighthouse and Einar Jonsson Museum (Listasafn Einars Jonssonar). Change things up with a short trip to Stekkjarkot in Keflavik (about 50 minutes away). There's still lots to do: pause for some serene contemplation at Hallgrimskirkja, wander the streets of Laugavegur, take a pleasant ride with a tour on horseback, and see the interesting displays at Aurora Reykjavik. To find where to stay, photos, other places to visit, and other tourist information, read our Reykjavik sightseeing planner. Boston, USA to Reykjavik is an approximately 9-hour flight. Due to the time zone difference, you'll lose 5 hours traveling from Boston to Reykjavik. Expect somewhat warmer evenings in Reykjavik when traveling from Boston in February, with lows around 30°F. Cap off your sightseeing on the 6th (Mon) early enough to go by car to Vik. 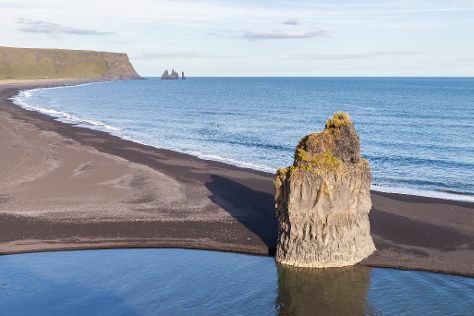 On the 6th (Mon), tour the pleasant surroundings at Reynisfjara Beach and then take in the dramatic scenery at Skogafoss. On the next day, kick back and relax at Black Sand Beach, explore the striking landscape at Dyrholaey, and then appreciate the history behind Voyages Friendship Statue. To find where to stay, ratings, and tourist information, read Vik vacation planner. You can drive from Reykjavik to Vik in 2.5 hours. Another option is to take a bus. Cap off your sightseeing on the 8th (Wed) early enough to go by car to Selfoss. Sitting on the banks of the picturesque Olfusa River, the laid-back town of Selfoss provides a good location to relax and enjoy some of the country's natural delights. Step off the beaten path and head to Seljalandsfoss and Strandarkirkja. Take a break from the city and head to Gullfoss and Kerid Crater. 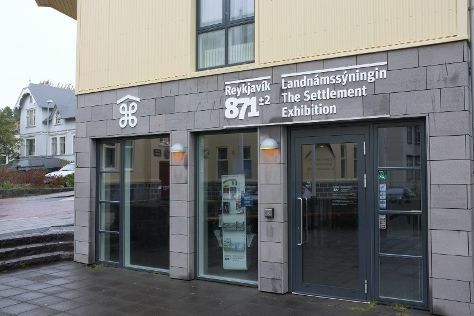 There's lots more to do: examine the collection at The House at Eyrarbakki, head outdoors with Landscape Photography Iceland, and have fun at Fridheimar. For other places to visit, maps, reviews, and tourist information, go to the Selfoss itinerary builder. Drive from Vik to Selfoss in 2 hours. Alternatively, you can take a bus. In February, daily temperatures in Selfoss can reach 39°F, while at night they dip to 30°F. Cap off your sightseeing on the 10th (Fri) early enough to travel back home.